You can follow Barry on Twitter via @BarrySigrist. Be sure to check out his Youtube channel and website bfitter.com. 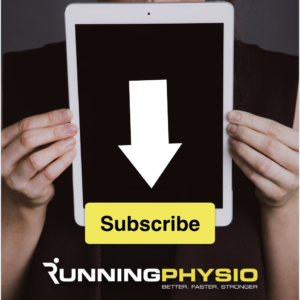 After meeting Tom at his Running Repairs Course, which I thoroughly recommend, I was asked by Tom to contribute an article or two on my thoughts with regards to rehabilitation. As a Graduate Sports Therapist and Sports Scientist my remit has been broad with my appreciation of pathology, movement and conditioning leading me to focus on the rehabilitation process. That work has a bias towards the strengthening of the individual whilst trying to appreciate their individuality and embracing their structure. Here are my top 3 hamstring exercises that every runner should know! Can be done from a Roman Chair or using a loaded smith machine, with something cushioning the thighs. Why is this useful? This isometric exercise increases the structural stiffness of the hamstrings. By subjecting the hamstrings to frequent high isometric loads you can develop your muscles ability to absorb force which is specifically tested at terminal stance phase as the heel strikes the ground. Specifically the transition between the lengthening under load and shortening of the muscle, where most running hamstring injuries occur. Where should you start? Bilaterally loading to spread the weight. 6 second holds, that increase to 10 seconds, x 5. Start using your bodyweight only and progress using a bar and gradually progressing the load. Also known as the RDL or stiff leg deadlift, this hip dominant hamstring exercise is a mainstay for conditioning programs for any running based sport. The coordination of the lumbar extensors, gluteus maximus, hamstrings and calves mimic some of the synergistic patterns required in running. There are many variations but I mainly use the traditional bilateral stance for real strength gains, the split stance for a more running specific loading and the single leg RDL to try to challenge the lateral hip muscles while loading the hamstrings. Extensively researched, the Nordic Curl has a huge evidence base supporting its use as an injury prevention tool in exercise. Helping the hamstrings to lengthen under tension, mimicking the demands of absorbing the force created at terminal stance phase before the transition to a shortening of the muscle. Research suggests this is the hamstrings most vulnerable point during gait so it makes sense to pick an exercise that has been shown to positive affect this moment. A weak hamstring, or previously injured hamstring, lose their strength in longer ranges whilst maintaining a reasonable strength in a shorter range. This longer range is challenged when running and this is where Nordic Curl comes in. Its important to keep the reps low and work in a range you are comfortable in. The lowering phase is where the good stuff occurs therefore the up phase in the video is not a necessity. Attempt to slow the down phase as much as possible to maximize the stress in the hamstring and maximize your gains. Closing thoughts: Eccentric biased exercises like deadlifts and nordic curls are excellent to build strength but often result in Delayed Onset Muscle Soreness (DOMS) for a couple of days after if you’re not used to them. The reps and sets used here are just a suggestion. If you have an injury or you aren’t sure which exercises are right for you consult a health professional for advice and a tailored programme. Would you opt for more depth in the RDL? Thx Tom and Barry. Really interesting blog. I enjoy integrating s and c and periodisation principles into practice and find the above exercises really useful as part of my physio management to assist the higher level runners I sometimes see. Cheers guys Jim.